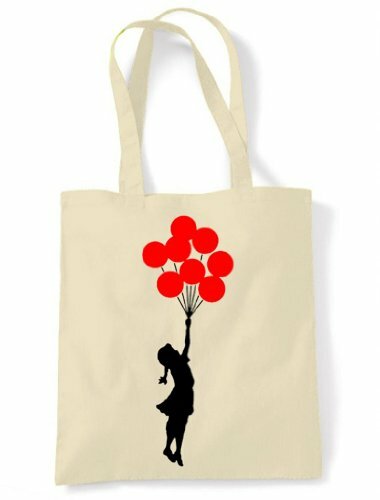 Banksy Ballon Girl Eco Friendly Tote Shoulder « WomensAccessories.co.uk – The Leading Womens Accessories Website! Feature:100% cotton shopper bag with long handles for carrying over the shoulder. Feature:The bag is 100% cotton and measures 42 x 38cm. Feature:Strong enough to carry heavy items but will also fold up small and fit into a handbag or pocket.